The gigantic drop of news some weeks back regarding the release of numerous Final Fantasy games on Switch this year was probably some of the best news that any diehard RPG fan could have asked for. But even with those much appreciated announcements, one can’t help but wonder about the potential for other games in the long running franchise to take the Switch plunge – at some point. And yes, while it might be greedy of me to want even more Final Fantasy than the ones slated for release this year, it is only because I feel that Final Fantasy Tactics in particular is a perfect fit for Nintendo’s hybrid console. In case you have been living under a rock for the past 20 years, or are simply new to the RPG scene, Final Fantasy Tactics is a Strategy/Tactical RPG that first released on PS1 back in 1997, and ended up becoming one of the best-selling games on the console. Although perhaps not as popular as the long-running Fire Emblem series, the iconic Final Fantasy traits, complex job system, mature, dark setting, and beautiful pixel-art assets made it an easy favorite of many over the years. While many games have been set in the world of Ivalice since its inception on the PS1, Final Fantasy Tactics, surprisingly, has never received a true sequel despite its undeniable success in the late 90s. However, there were two other games closely tied to the original Tactics title: Final Fantasy Tactics Advance on the Gameboy Advance and Final Fantasy Tactics A2 on the DS. Although those titles were more or less received positively, they would never come close to matching the same success or widespread appeal of their predecessor. 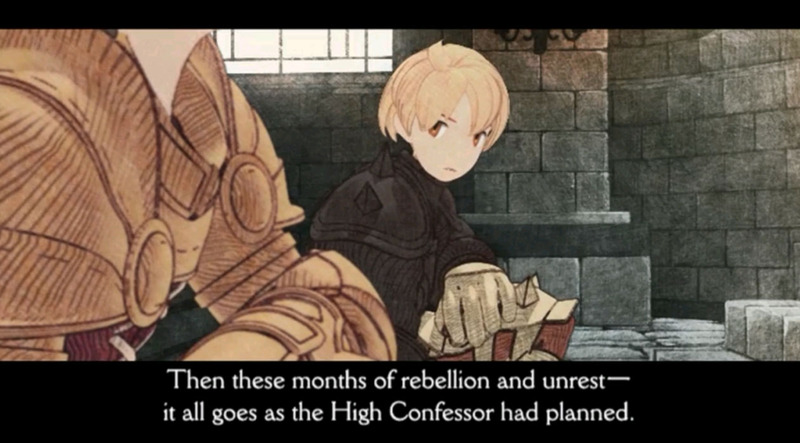 That is why I find it odd that the original game lied dormant until 2007, when it was updated to Final Fantasy Tactics: War of the Lions – a new version of the game which released on PSP, before moving to mobile devices in 2011. Sadly, War of the Lions would be the last activity we’d see from the game, and that was almost 10 years ago. 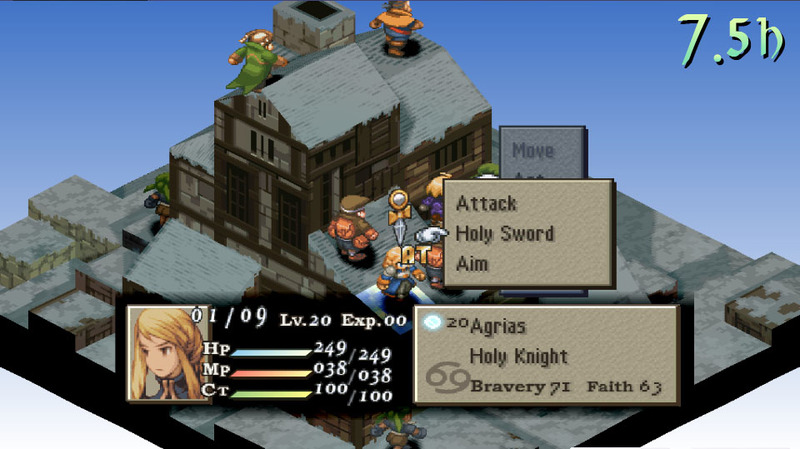 The absence of the tactical RPG gem in the modern era certainly begs the question, “will we ever see Final Fantasy Tactics on Switch?” I sure hope so. Fire Emblem: Three Houses will undoubtedly be a hit, and there have already been many successful tactical/strategy RPGs on the Switch, so why not add to the subgenre’s reserve with the classic, beloved title sometime in the future? Of course, I’d love a brand-new game in the series, but I think that might be asking too much at this point considering that it hasn’t been done already (in a true sequel sense). Regardless, there is no reason to let successful games fall by the wayside if there is a demand for them, and I know I’m not alone in wanting to play it on the Switch – whether it be the original PS1 version or the updated War of the Lions edition. Do you think we will ever see any form of Final Fantasy Tactics on Switch, or any modern console for that matter? The mainline Final Fantasy titles are great. Excit they’re on their way. Still, I’d really love to see Tactics be ported! Not interested in Disgaea, they’re great but not for me. Finger’s crossed it happens eventually. I know what you mean about Disgaea. I took a lot for me to get past its aesthetic and heavy anime influences, but they are pretty wonderful games if you can get to that point. I’d play FFT over it any day though. I have been puzzled for years why this one got ported to mobile, but then not ported from mobile to elsewhere like, say, FF III-VI or Chrono Trigger. But really there are a lot of S-E games that seem stuck on mobile without good reason. Square Enix really seems to struggle with the idea of “giving gamers what they want.” A lot of their business decisions over the last decade have been downright bewildering. Obviously they’re still a very successful company – and still put a large number of quality titles – but I think their best work is really coming out of their side studios at this point. I’m actually with you on the PS1 version being the ideal one. While I enjoyed many of the things that came with the War of the Lions version, the performance issues and sound effect changes (SE downgrades IMO) did not sit well with me at all. The ability to choose between both versions would absolutely be amazing though. Thank you for the kind words about the site! I still have the PS1 on disc. However, I’m willing to buy it on the Switch when or if it becomes available. 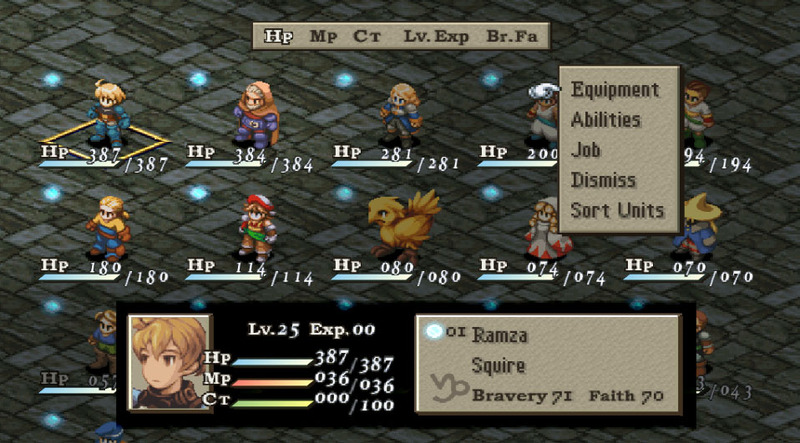 Final Fantasy Tactics is one of my biggest wishes for the Switch!